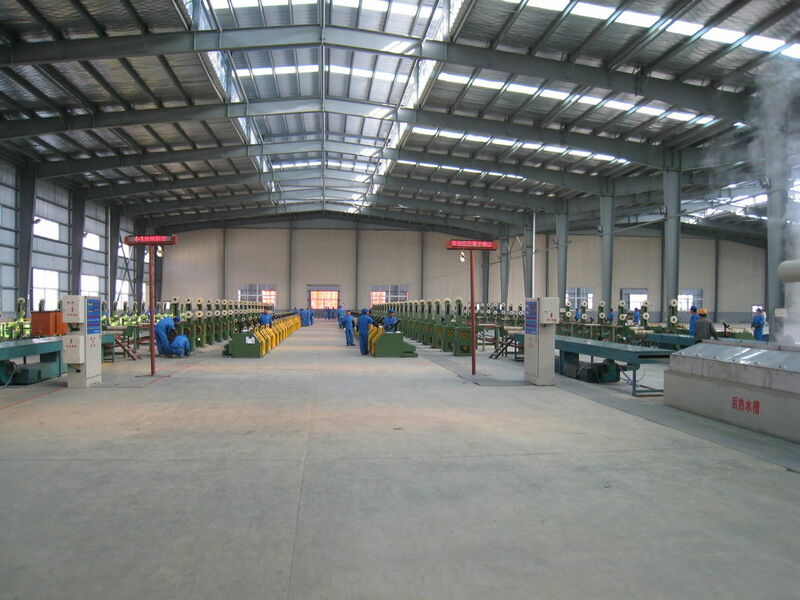 Automatic production line for high speed wire welding is through the introduction of Swiss SCHLATTER company technology, after digestion, absorption, and research and development of a device, mainly composed of pay-off stand, wire frame, a longitudinal bar straightening device, longitudinal reinforcement traction device, storage rack, longitudinal reinforcement secondary straightening device, longitudinal reinforcement stepping feeding device, welding host, transverse reinforcement automatic feeding device, shearing machine, mesh network collection device, network transmission of orbit, it is mainly used for concrete road, building, tunnel, subway, water conservancy, such as prefabricated steel fabric in the construction field. This product production efficiency is high, the annual output can reach 50000 tons. 1. At present, a lot of other domestic products applicable to weld straight bar steel, need to manually wear reinforcement, the intensity of labor is big, the production efficiency is low. This project product is suitable for the plate steel, which can realize continuous welded steel fabric, improved the production efficiency. 2. Adopts two-way 45 ° inclined type straightening machine, straightening effect is good, all straightening roller can be adjusted through a hand wheel, convenient adjustment. 4. Welding host selection for double impact cylinder, cylinder made by the company independent research and development, welding frequency up to 120 times/min, greatly improving the welding efficiency. 5. 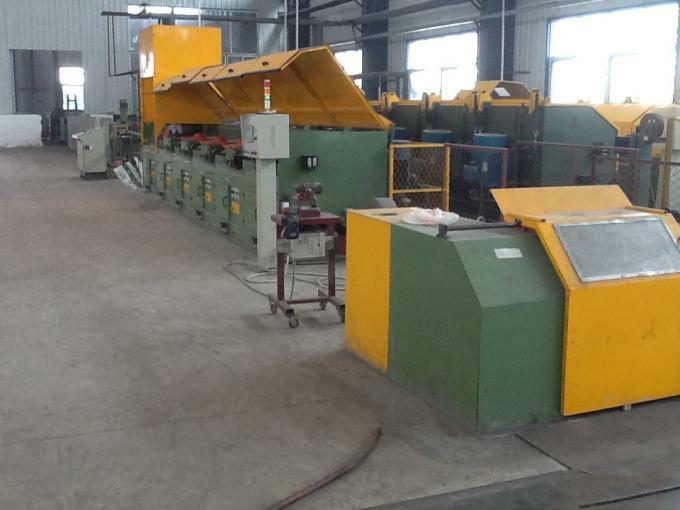 The transverse reinforcement automatic feeding system, without manual, the system consists of PLC program control, which can realize the continuity of transverse reinforcement accurate feeding. 6. Finished product mesh collecting device is composed of shrinkage, mechanical hand, lift orbits, which can realize the automatic mesh pallet, placed neatly, high production efficiency.